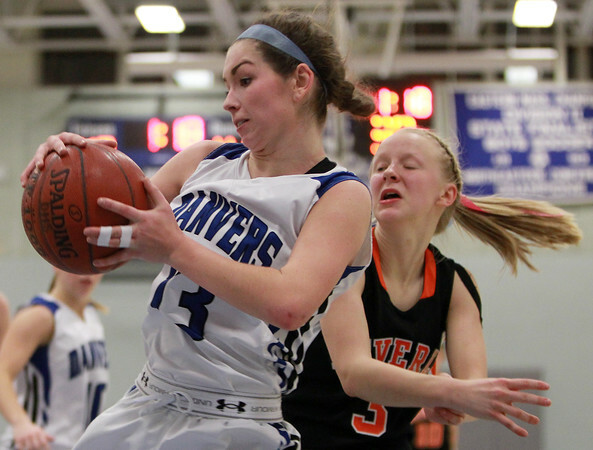 Danvers junior captain Devan Walsh (13) grabs a rebound away from Beverly junior Melissa Lubas (3) at Danvers High School on Tuesday evening. DAVID LE/Staff photo. 1/13/15.